Kim Hoffa didn’t begin her career like most other Safety Heroes. After graduation, she chose to forgo the workforce in order to care for her children as a stay-at-home mom. Once the kids got older, Kim entered the workforce as an EMT at a steel plant in the Tri-State area. It was during her time as a first-responder that she developed a passion for safety. Kim has held a variety of safety roles, including those in general industry and construction and at several military facilities, including a Site Safety Officer at Fort Knox! 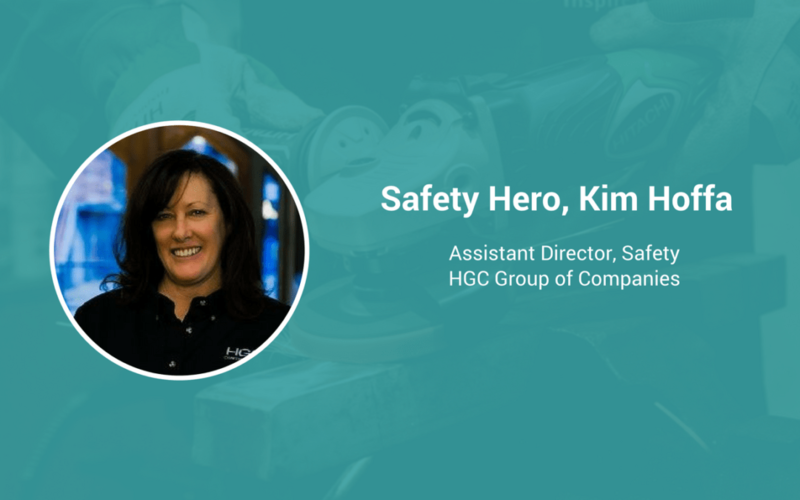 Now, Kim has found a home at the Cincinnati-based HGC Group of Companies, where her commitment to safety continues to impact those around her. I’ve always been passionate about safety, but my role in safety happened by circumstance. While I was working in the steel mill, I found that I always wanted to make sure our people stayed safe. One week, I had an opportunity to work directly with an environmental health consultant and found that I enjoyed the work that he was doing. Luckily, he hired me and started the training that led me on my path to be a health and safety professional! What’s important to be effective in your role? Company buy-in. You need the support of the owners and upper management to help with the buy-in of everyone. I am very fortunate that safety support is a priority, which certainly makes a difference. Have you ever had an incident that changed you and how did you approach it with your role? It showed me just how important our work is. The smallest “slip-ups” can have the biggest consequences. What do you want everyone to know about safety? It never takes a timeout – safety is always on. Whether it’s at home, on your way to work, or at the office, safety should be a priority. And for safety professionals, it’s all we think about. It’s my passion – my passion is the thing that helps me get other people excited. My passion helps others enjoy their work, and that helps them pay attention to their safety and their training. If there was one thing that you could change about how safety is managed, what would it be? I wish that all companies would have the passion and care to make sure that their employees are trained and taken care of. Many companies out there still don’t emphasize the importance of safety like they should, or if they do, it’s only in the way they talk, and I would love to change that. Let us know! We’d love to chat with them and share their story. Click here to nominate yourself, or a coworker!